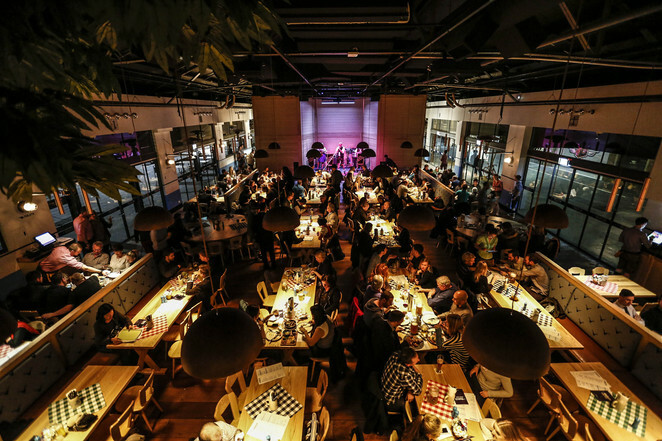 Located on South Wharf, Munich Brauhaus serves up tasty Bavarian style food, cold beer (in steins of course) and plenty of live entertainment year round, not just for Oktoberfest. With both a bar area, private spaces for parties and events as well as the main Bavarian Bier Hall, this venue is big enough to accommodate party sized groups as well as a table for just two. Ideal for larger groups and families alike, it's the type of place you can easily imagine a celebration taking place or simply a great time out with a group of friends. If you're familiar with its sibling venue in Sydney you'll know it's a place that's lively, fun and always buzzing (particularly on weekends). Head into the bar area to enjoy a wide variety of biers on tap and served by the stein, as well as by the bottle. It's a great place to gather to watch the sport, sit outside on a sunny day Yarra-side and enjoy the sunshine or bring the family into the main dining area for some entertaining fun. 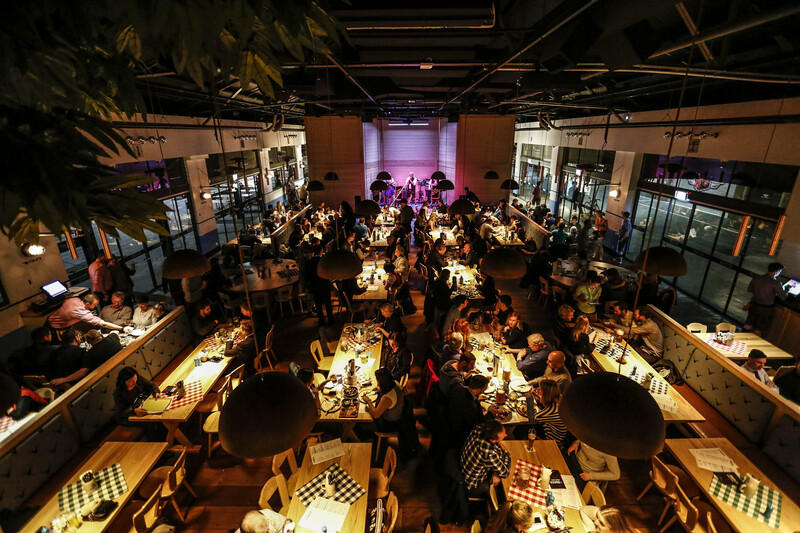 With an Oompah band playing Bavarian-style tunes to set the mood Municah Brauhaus has a traditional Bavarian menu offering up all the pork, sauerkraut, schnitzels and sausages you can imagine. And if your food fussy and keen for something a bit more basic, there are hand-crafted salads, burgers and hot dogs too. And if you're keen to try a little bit of everything (and why wouldn't you?) the sampler platters are the perfect way to do it. Paying homage to all things pork, we ordered up the Munich Schmankerlplatte or Munich Brewers Platter. It's definitely designed to share and includes a variety of tasty treats from their master butchery such as crispy pork belly, roasted pork knuckle (with plenty of crackling!) haus sausages, schnitzel, sauerkraut, red cabbage, spätzle (sort of like small egg noodles) roasted potatoes, plenty of bier jus for sauce and of course, apple compote. You certainly won't leave hungry. Pork aside, there are also menu options for non meat eaters, kids and smaller wraps and salads (great for a quick lunch). The venue consistently has special events taking place so be sure to visit the website for what's on.